Wheeeeeeeee it's that time of the year again - I've already posted a couple of Christmas campaigns and here's another one (the one I usually am phoning ahead about on the day to make sure it's in-store!) Campaign visual aside (I think the eyes are just creepy) I love the simplicity of this Christmas collection which features soft muted browns offset by strong lips and nails (in either crimson or burgundy reds), and a hint of a sparkle on the face and the eyes (via sparkledy loose powder and liner/mascara topcoats). 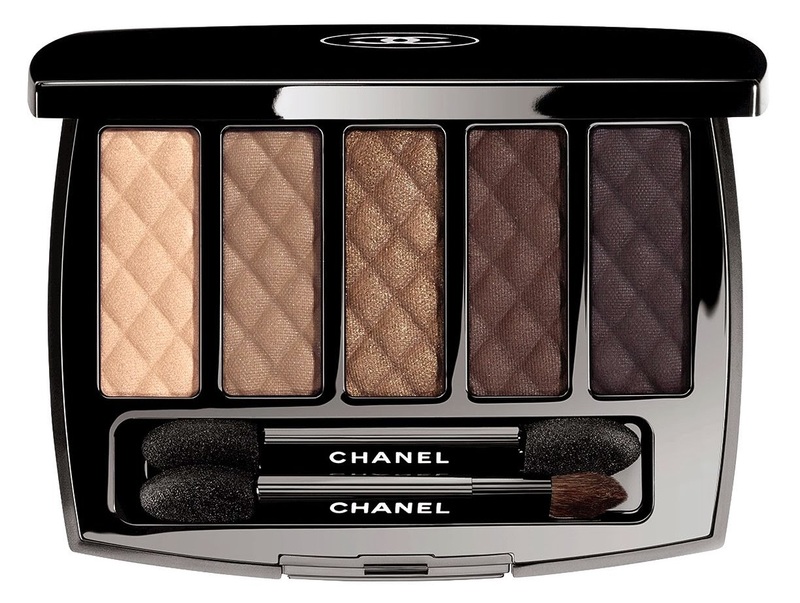 The Ombres Matelassées palette in Charming is €55 and features five gorgeous, gradually darkening browns ranging from beige through bronze, chocolate brown and violet plum shadows, each stamped with the iconic quilted Chanel motif (Matelassées = "quilted") and with either satin or iridescent finishes. There is also a new Ligne Graphique (liner) in 117/Bronze at €32 (a khaki bronze shade) and a (look above!) Mascara Cils Scintillants in Bronze Platine at €30, designed to be used as a subtle metallic topcoat on the very tips of your lashes (on top of your usual black mascara). This is Chanel however, and Chanel knows how to do subtle, so be aware that you're not getting a frosted finish here. This will suit some and not others :-) I am curious to see how these will compare with the Chanel Superstition collection liner and mascara in terms of colour and finish. And (for me) the icing on the cake - the two new (LE) shades of Illusion d'Ombre, in 827/Initiation, a platinum bronze, and 837/Fatal, a silvery violet plum taupe, both at €29.50. They join the existing line up (temporarily, at least) of Illusion d'Ombre shades (look here and here for more info on the existing line-up of shades). 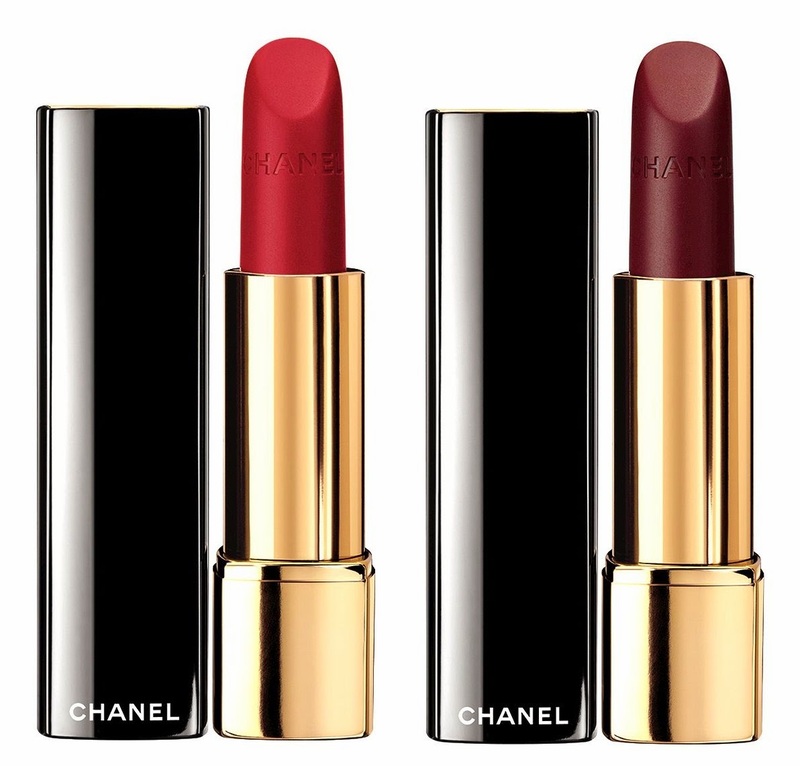 Three new lipsticks feature, in velvet and satin finishes. Rouge Allure in 217/Radieuse is a satin finish muted bluish-pink shade. 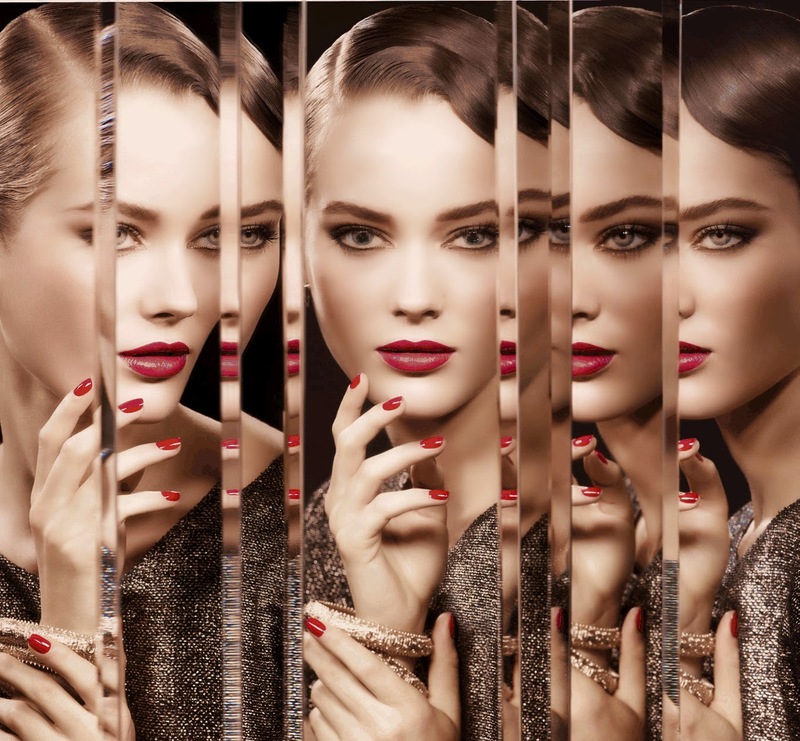 Rouge Allure Velvet in 327/La Désirée is an intense burgundy (designed to match the existing 573/Accessoire nail polish) and 317/La Précieuse is a bold, vibrant red which matches the 677/Rouge Rubis nail colour. 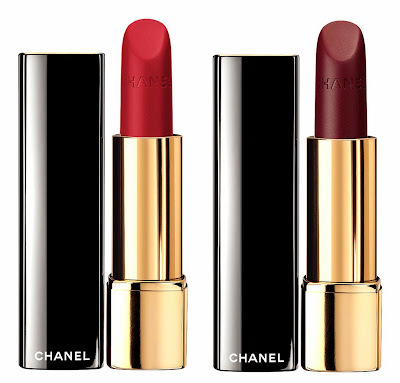 All three lipsticks are €31.50. Just one - a new Le Vernis in 677/Rouge Rubis features, at €22.50 this one is a scarlet nail polish, designed to work in harmony with the lipstick shade 317/La Précieuse. This looks from the visuals to be a mix between a scarlet- and a tomato- shade red, but as images frequently differ from the actual real, live, shade, I shall wait and see. Much as I love red lippie, I'm not a huge fan of red nails, so I will personally likely skip this one. A new Joues Contraste Blusher in 84/Accent, in a rosy beige shade finished with pink and golden pearl (€37.50). Sounds a lot like my kind of "standard wear" blusher.